Dethbert Jones is your average ten-year-old only he lives on the planet Crank with his pet chicken-snail, Precious, and his robot best friend Andi Social. When he and Andi join the Space Cadets, a Scouts-like organization, they are totally smooshed at the prospect of going to Space Camp where they'll learn to pilot a real shuttlecraft and disintegrate weapons of mass destruction. Blamtastic! 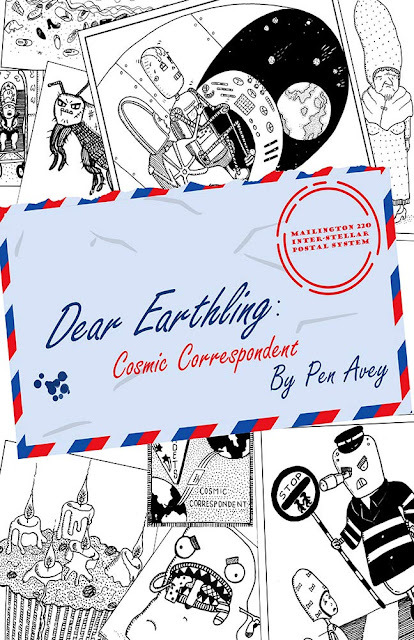 To earn his cosmic correspondent badge, Dethbert begins writing to an earthling – and boy, does he have a lot to write about! Between questions about Earth food, culture, and activities, Dethbert recounts his experiences attempting to avoid his horrible little sister, impress his animal-obsessed crush, and fly a space shuttle. Misadventures – from hairy ankles to crash landings – abound, but Dethbert's curiosity and enthusiasm can't be crushed, not by anything in this galaxy, anyway! 'Dear Earthling: Cosmic Correspondent' is a charming little novel written by Pen Avery. It's a series of letters from your galactic pen pal whose name is Dethbert Jones. He's a 10.63-year-old boy from the planet Crank. He recently joined the Pudding Squadron of Crank Space Cadets and he can't wait to tell you all about his adventures, his friends, and his antics. He's writing to you so that he can get his Cosmic Correspondent merit badge. He's also going to tell you all about the people in his life, from his robotic friend (Named Social) to his crush Killian Brown, to his little sister Shriekfest. Personally, I loved how the book makes you feel like you're actually talking to Dethbert. I also found his best friend's name, Andi Social, to be rather hilarious. Speaking of humor, this book has plenty of it, so don't be surprised if you hear your youngster giggling while they read it. It also has some relatable elements for kids, like trying not to get caught by your parents after you've done something wrong or attempting to impress your crush. This book also has plenty of pictures to entertain your young reader. Overall, I think this is a great book for your juvenile sci-fi loving reader. So funny. I bet my little brother would get a kick out of the humor in this book. Still need a gift for him too!